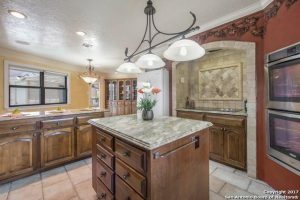 Stunning and unique home with tons of custom details. Natural light streams through the atrium windows into the living room. 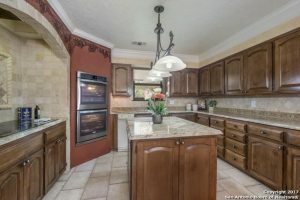 Gourmet kitchen has it all; granite counters, island, double oven and more. Breakfast room with custom shelving, wine rack and fridge. Master bedroom has fireplace and wet bar. 24-carat gold plated fixtures in the master bath. Spiral staircase to the serene pool. Guest house and oversized covered patio. All of this makes the home perfect for family living and entertaining as well. 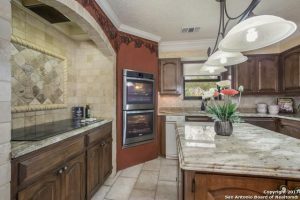 3510 Blvd ,is one of the most desirable areas in the entire San Antonio TX region. With excellent schools and a close proximity to the city. it’s an oasis just inside of the city. Thank you for reading about 3510 Ryoak St San AntonioTX 78217.